If you’re just here for the gallery, skip all the way to the bottom! No need to read the kerfuffles! Hey ya’ll!! It’s been a little bit since I updated the Indy music scene part of The Moments Between Us, but that’s because I’ve been so super busy (#everydayimkerfufflin’). But if you’re new to this here little piece of Indianapolis, HI AND HELLO. Read about me if you want here, I suppose. 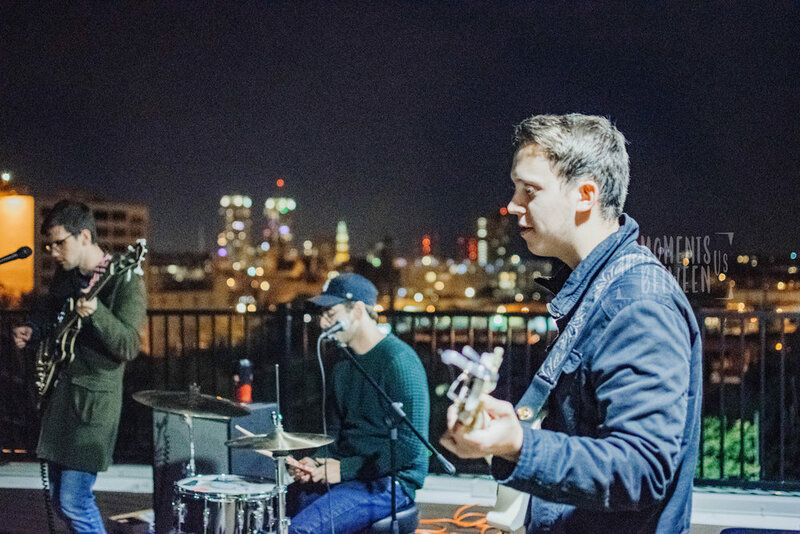 Before I get into all the updates my little heart can handle, I want to drop this gallery from what I believe is one of the coolest freaking organizations I’ve ever met: Sofar Sounds. I could truly talk all day about how I have super amazing friends in my life that do super amazing things but in short just know that I have super amazing friends who lead me not only to water but to the essence of my spirit (bless up). A collective community of people for musical artists wanting to share their gifts with all the peoples. Your typical Ruoff-Mortage-get-hype-before-you-come-and-bond-your-soul-to-the-extraneously-loud-speakers kind of musical performance. If you know me, then you know I love meeting and support my local folx, which includes my midwestern peeps in general. So I’m pumped to get to introduce to you some of the talented people I met this past Saturday! 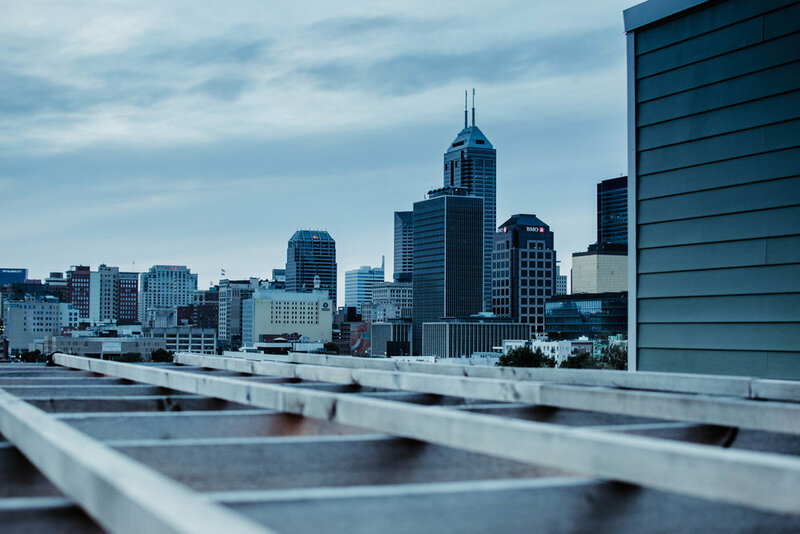 Quick shoutout to The Vue Luxury Apartments for this dope rooftop in the heart of Indy, too! The Grapevines are from Michigan and usually have four members, but the fourth was out of commission for this show. Even though they started out the chilly night and I’m sure their fingers were freezing (mine too, I forgot gloves), they pioneered the rooftop shenanigans and performed a medley of songs that could easily be feature soundtracks for movies like Punch Drunk Love or The End of the F**king World. Listen here. Everybody Jaywalks consists of five guys who knew each other at North Central. They continue to be a band, despite being at different schools and in different stages of life. A fun little fact about this coincidental meeting is that my lifelong friend’s brother-in-law was attending this show because of band member Sam. It’s such a small world out there. And random shoutout to Adam for stanning Masego, music brings people together. Their hype group was probably my favorite group of people just living their best life and supporting the people they love. Listen here. The Hacky Turtles hail from Grand Rapids, Michigan and are an alternative funk/rock band that surely will get you moving if you’re not already up by the end of their set. It’s inspiring to see the bond of bands and how well they interact as a unit and individually. The words man, Marc, was meant to be the words man for sure. On top of that, he has funky turtle dance moves and it’s really contagious to want to learn some funky turtle dance moves (#funkyturtle). All in all, they’re dope and they’re going places, yada yada just listen here already. Also here’s a cool Tiny Desk Contest Video submission they did.